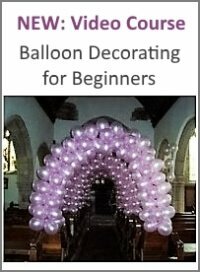 There are of course tons of online balloon shops on the net, or rather balloon and party shops with thousands of items. You can spend hours browsing through their huge selection. If you ever shopped at places like Partydomain.co.uk or BuyCostumes.com, you'll know what I am talking about. 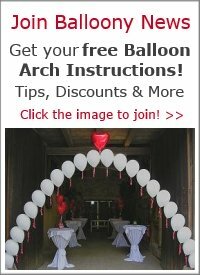 My online balloon shop needs a serious makeover! The platform I used for showcasing top recommended products for you closed shop recently. Please bear with me while I fill this page with new life! 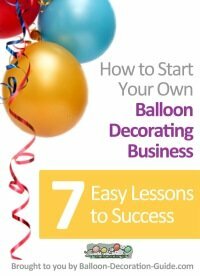 In the meantime, why not check out these easy to assemble balloon decorating kits? 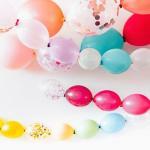 So, what's so special about our balloon shop? It features a handpicked selection of best buys for various themes and from various suppliers (Hits for Kids, Decorator's Tools and Materials, Halloween, Valentine, etc.). You'll save time & money, because we did the tedious legwork of browsing through tons of items for you. We did our best to offer you the balloons and materials you'll need to make our designs in one place. Besides, you might simply like our site - so why not buy from our recommendations? If you insist on doing the legwork yourself, we would recommend ShindigZ.com. Shindigz.com is a family owned party supplies and decorations store with a huge selection of party items, including balloons. We've heard only good things about their products and customer service. *Disclaimer: I am an affiliate of the shops recommended on this page, so I will get a commission if you buy via any of the links below.